In preparation for the SBTS Greek Reading Group (Click here and here for more details), I wrote a basic introduction highlighting elementary information about the Didache. Over the past number of weeks, I have been posting portions of that text. Here is the series of posts about the Διδαχή. I was encouraged to highlight a few reflections on our time in the literature. Here are a few items I’ve gleaned from others, from experience, or thoughts I’ve had over the past 3–4 months. Language study is so important and here is my call to all language teachers: Teach to captivate their interests beyond the classroom so that your love and interest and value in the language will shape and influence your students beyond your time with them. Model how to use it and model the types of questions to ask. Model in such a way to shape and influence their affections for the value of language study. Thomas O’Loughlin, professor of Historical Theology at the University of Nottingham, presents a wonderful contribution to Διδαχἠ literature after 25 years of academic teaching and study of its contents. 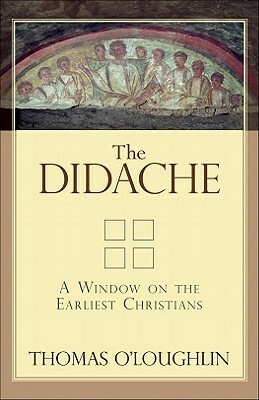 This introduction, The Didache: A Window on the Earliest Christians, is highly recommended both for its simplicity yet rich insight in the Didachist’s message. My review will appear shortly in the SBTS Journal. The following is a bibliography for beginning studies in Διδαχή scholarship. It is not meant to be exhaustive nor representative of all Διδαχή scholarship. For example, it lacks an extensive list of journal articles, which are essential for adequate research. This list is, therefore, meant to aid those beginning Διδαχή studies. **Ehrman, Bart D., ed. and trans. The Apostolic Fathers: I Clement, II Clement, Ignatius, Polycarp, Didache. Loeb Classical Library. Cambridge, MA: Harvard University Press, 2003. **Holmes, Michael W., ed. The Apostolic Fathers: Greek Texts and English Translations. 3rd ed. Grand Rapids: Baker Academic, 2007. Staniforth, Maxwell, trans. Early Christian Writings: The Apostolic Fathers. Middlesex, England: Penguin Books, 1968.